Let's face it: Trends are hard to keep up with — especially in food. Not only do consumer preferences and industry offerings change quickly, staying up-to-date on the latest and greatest in food often requires at least a minimal amount of knowledge of nutrition and physiology. 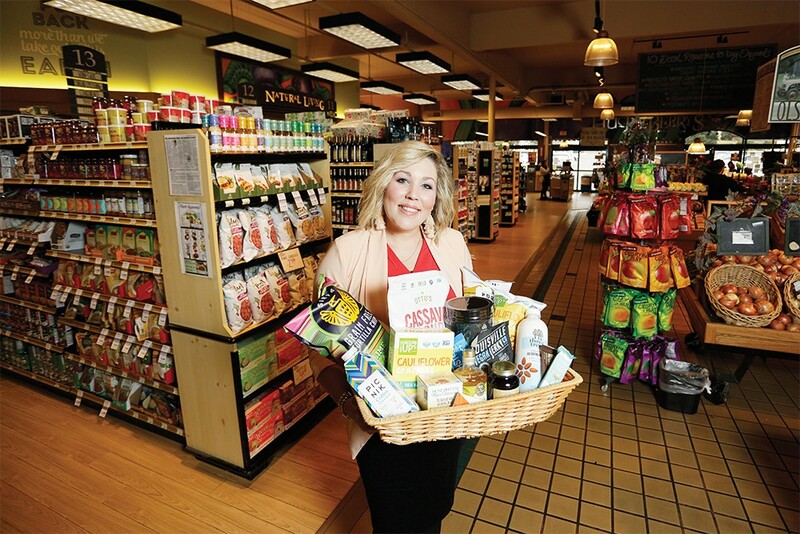 "The consumer continues to get more educated," says Ashley Gorman, corporate buyer for Huckleberry's Natural Market in Spokane. "They're label readers. Mindful eating is huge." So don't worry if you're intimidated at your local speciality foods store by the dizzying array of swanky new grocery products that customers and staff are seemingly fluent in; we've got you covered on some of the food trends you'll see in 2019 and how to distinguish the good products from the bad. The plant-based food industry continues to introduce alternative food staples for consumers. One of those is oat milk, a new craze that is taking the speciality food market by storm. And while it may be an eyebrow raiser — my first reaction to hearing about the product was "um, what?" — it's definitely catching on. "Oat milk is going to be a new thing, it came out of nowhere," Gorman says. The product itself is creamy, sweet and has a refreshingly subtle flavor that isn't as potent as soy milk. It would be great for casually sipping as a lip-smacking stand-alone drink or mixing into coffee and espresso drinks. (It's surprisingly rich and flavorful, for a beverage derived from oats.) The only sticking point on any pitch for oat milk is its nutritional value. While it is suitable for those who are lactose intolerant, vegan or gluten-free, it doesn't quite match the benefits of regular consumption of classic dairy. 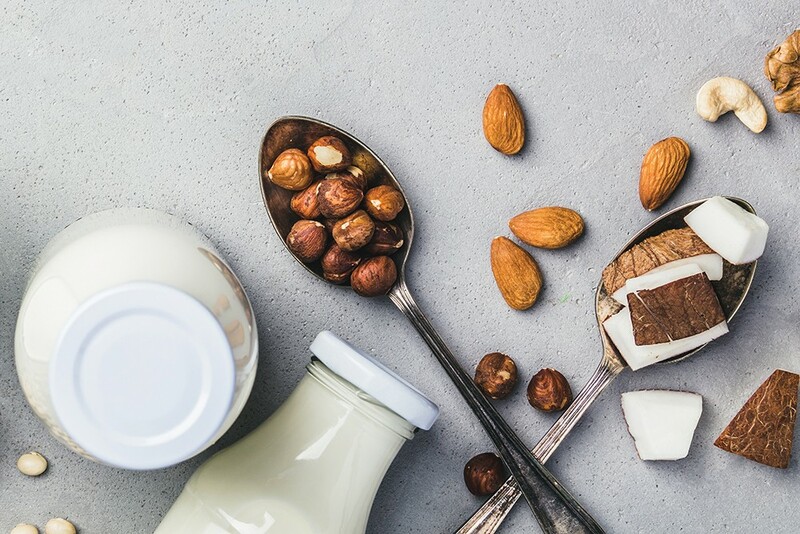 "Nut milks, rice milk, oat milk, etcetera are fine to consume but don't use them as a milk substitute, because they do not provide the same nutrition — protein/calcium/potassium — that the dairy food group supplies," writes Isabel Maples with the Academy of Nutrition and Dietetics in a email. "Most of those alternative milks (except soy) contain little or no protein." So long as you're not counting on oat milk as a serious daily source of protein or calcium, it's just fine. And if the store-bought varieties aren't to your liking, you're in luck: Oat milk is extremely easy and cheap to make. First you soak raw oats in water for at least 30 minutes, then blend it up with water, sea salt and any spices. Finally, strain it in a cheese cloth bag to remove the pulp. Voila! You've made oat milk. Exact recipes are easily found online. The key when looking for quality meatless meat products, according to experts, is to be a good consumer and check out the nutritional information on the back of the package. Basically, what you want is meat substitutes that are low in sodium and have recognizable vegan or vegetarian sources as ingredients. "It's reading that ingredient label and making sure that what you're buying has beans and rice and not words you can't pronounce," says Judi Miller, a natural living specialist at Huckleberry's. "That's the big one. And then the sodium profile." Americans are advised to consume no more than 2,300 milligrams of sodium per day, according to Isabel Maples, a spokesperson for the Academy of Nutrition and Dietetics. Miller explains that meats are "complete proteins" that contain the nine amino acids necessary to make it a protein. With plants, you have to combine them to achieve a substantive meat substitute. "The plant-based, you have to kind of combine elements in order to complete that circle of amino acids to get what they consider a 'complete protein,'" she says. For those who aren't looking for meatless meats packaged as premade meals, Miller recommends QUORN's line of products, which include malleable "crumbles," similar to ground meat. "If you were going to do spaghetti, you could use the crumbles. You could just throw that in and then you have a meat-based spaghetti sauce," she says. Have you heard about CBD? If you partake in recreational or medical cannabis — or know someone who does — than you've probably heard of this (supposedly) miracle substance. CBD is short for cannabidiol, one of the many cannabinoids found in the cannabis plant. Unlike the more well-known cannabinoid THC, which produces the high that people most commonly associate with marijuana, pure CBD has no mind-altering effects. As such, the alternative medicine industry and its enthusiasts have been marketing it as a treatment to a variety of health issues ranging from stress and sleeplessness to epilepsy. (There's strong research that supports its benefits for people with epilepsy as well as studies that indicate it can be used to treat chronic pain and insomnia.) And while the regulations governing it are convoluted — the Drug Enforcement Administration still classifies CBD derived from cannabis as a Schedule I controlled substance while CBD produced from hemp may get legal cover from the recently passed Farm Bill, which legalized hemp — it's of course available in Washington state, where recreational marijuana has been legal since 2012. As far as CBD products go, there's a wide variety. You can get CBD oils and tinctures in pot shops and CBD speciality stores, and there's also CBD infused beverages and various types of edibles. "It's a pretty open market right now and lots of room for people to create new products and sell them on a national scale," says Sean McHenry, owner of the Source CBD shop in Spokane. If people want to do their own cooking with CBD, McHenry says that they should buy "CBD crystal isolate," which is tasteless pure CBD. The tinctures and oils, in contrast, can have pretty bitter tastes that may mess with your cooking. "I wouldn't recommend it," he says of cooking with CBD oil. "You'd have to have a real chef's taste buds to match a cannabinoid [with other flavors]. It's just bitter and earthy." McHenry adds that people should aim for roughly 25 milligrams of CBD per serving as a healthy dosing amount. Of CBD's effects for the casual user, he says: "You basically run better all day, you have less anxiety, and you sleep better at night time." Huckleberry's corporate buyer Ashley Gorman says you should evaluate new products just like old ones – in particular, look for artificial ingredients and sodium content. While it may sound counterintuitive, kale and veggie chips are out of favor with health-conscious food shoppers. (Veggie chips, for example, are high in starch and are also made out of potatoes, leaving very little to distinguish them from your standard potato chip.) Various low-starch, low-sodium, plant-based, grain-free, refrigerated protein and grass-fed, meat-based snacks are peaking in the healthy snacking market. As with the other trends with discernable upward trajectories in 2019, healthy snacking stems from consumers' increasing desire to know what they're eating, how it affects them, and how they can minimize foods and ingredients that drag down their daily well being. When it comes to jerky, for example, the quality-minded consumer wants a lean and clean high-protein meat snack. "It's not the traditional jerky at a 7-Eleven," Gorman says. "People want low-sodium, no-sodium meat that's grass-fed." She also says that a new jerky type, biltong, is likely to be popular with foodies in the coming year. Biltong, a form of dried and cured meat that originated in south African countries, is air-dried and seasoned and cured with salt, vinegar, and other spices, giving it the benefits of being both more tender and sugar-free. "It's a dried cured meat and it has no sugar, [is] very low salt, so it's a very different snacking experience," Gorman says. 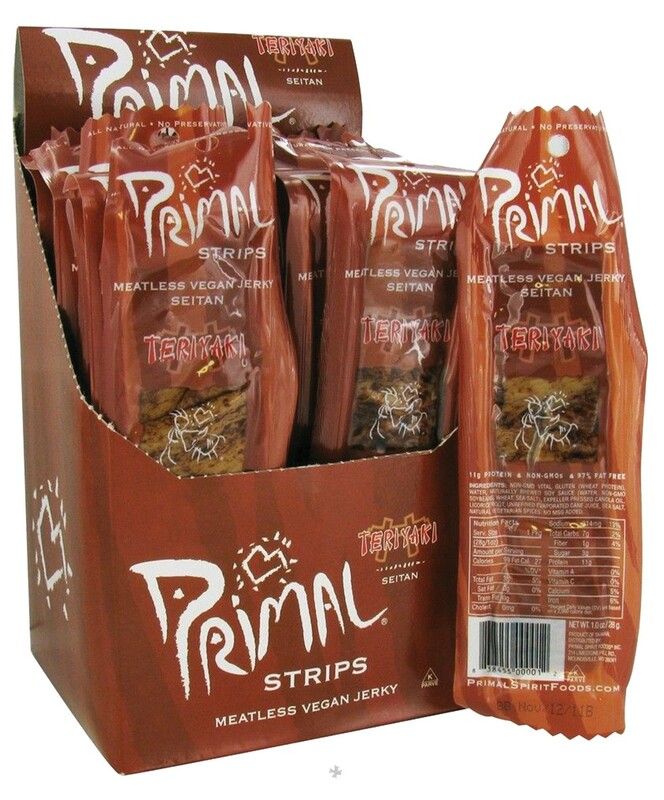 Then there are plant-based snacks, such as cassava root chips, nut and plant-based protein bars, jerky made from kelp, and meatless meat snacks, such as Primal Strips, which are largely soy-based imitations of meat jerky. I recently tried the "Mesquite Lime" Primal Strip flavor. And while it doesn't really resemble jerky in its flavor, it's texture once you bite into it is surprisingly similar. "Anything plant-based, anything that is a plant-based snack, those are all driving forces," says Gorman. As an example of one of these 'new-age' protein bars that have been hitting the market, Gorman cites Perfect Bar, a company that makes refrigerated protein bars consisting of nuts, fruits and vegetables, organic honey and various combinations of oils (e.g. olive and flaxseed oil). "A lot of the research that is out there is actually out of Russia," says Judi Miller at Huckleberry's. "They were doing the research for their soldiers and their workers in order to help protect them and get more production out of them." In describing adaptogens' general function, Miller says: "[Adaptogens] help with the resistance against multiple stressors including physical chemical or biological." "It doesn't influence the normal body functions any more than is required to help that stress," she adds. Dr. Julie George, a naturopathic physician at Rivercreek Wellness in Spokane, says that adaptogens are great for people who experience high amounts of stress and physical fatigue. "It's just a really good thing for people with fatigue: young moms, college students," she says. "It's a great thing for people to add on to help them with their daily stress management." There's a slew of various adaptogens with slightly different effects, such as ashwagandha, holy basil, Siberian ginseng and rhodiola. While it's possible to buy the physical herbs locally, Miller says it is probably easier to just buy capsules containing combinations of various adaptogens at clinically appropriate dosages. "They are very easy on the body and very easy to do," Miller says. "Really it's kind of cool." The original print version of this article was headlined "New Eats"